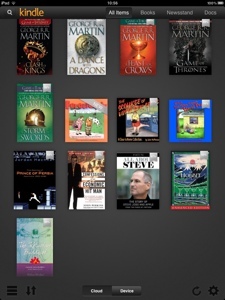 I love Kindle on iPad. I've been reading a lot since it is so convenient. 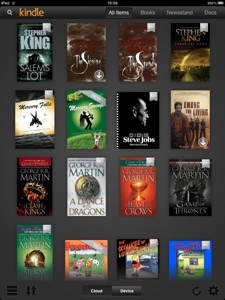 And it syncs where I left off across devices so I could read on the iPhone during lunch. And books in Kindle are much cheaper than physical books in mph or kinokujiya. The other thing I like is the ability to read in the dark, adjustable font sizes for old man like me and ability to highlight paragraphs, dictionary on the fly and sharing of great phrases via Facebook or Twitter. Isn't these great? 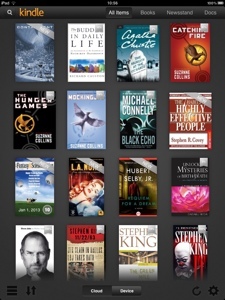 Certain Kindle books I owned like The Hobbit 75th Anniversary and the 22/11/63 by Stephen King has multimedia content. In The Hobbit, the recording of Tolkien reading poems can be played. And all those special hand drawn maps are shown in beautiful pixels. It cost only us$6! Where else can you get this except from amazon?